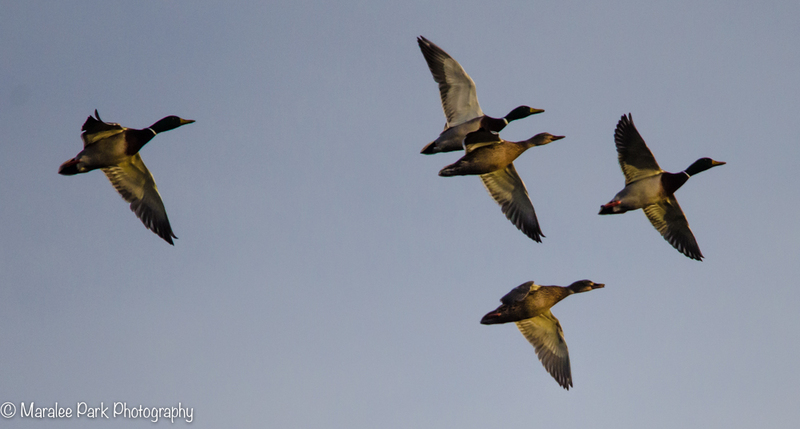 There were a lot of ducks on the pond by the river. Now that ice is forming along the banks, they seem to congregate in the area of open water. 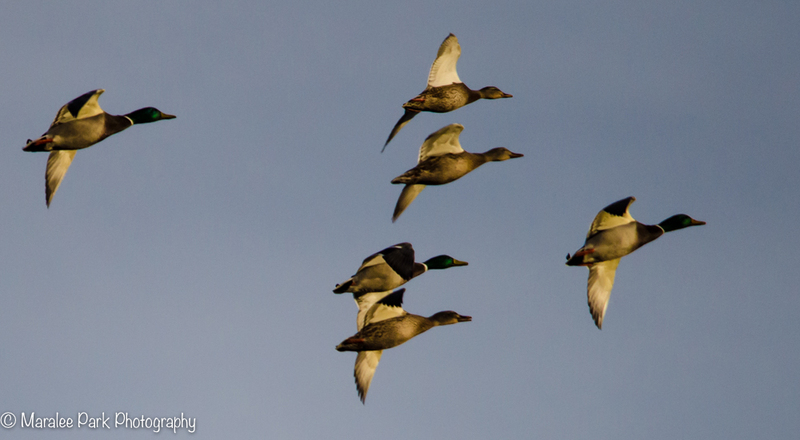 This group flew overhead after taking off from the river. 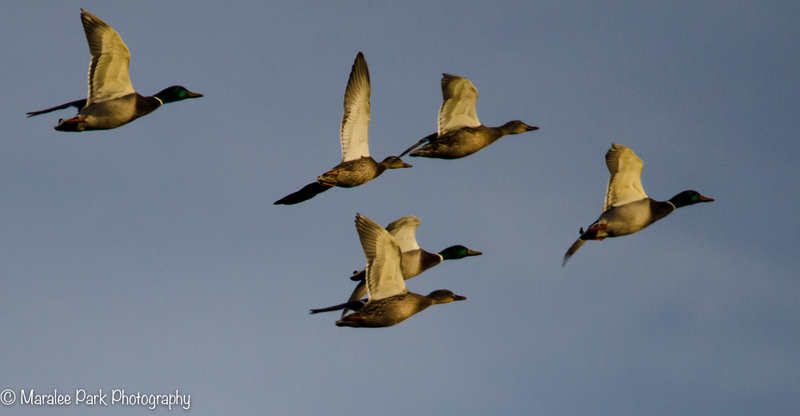 Very nicely synchronised wing work from the ducks.